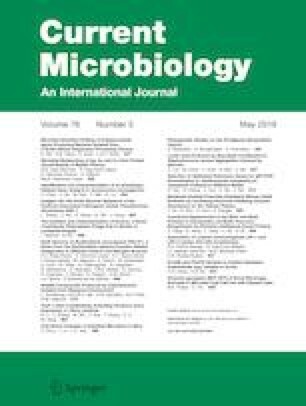 Pseudomonas fluorescens is a physiologically diverse species of bacteria present in many habitats, which possesses multifunctional traits that provide it with the capability to exhibit biological control activities, promote plant health or cause plant disease. Here, we present the draft genome sequence of the kiwifruit-associated pathogenic isolate AHK-1 of P. fluorescens, which was isolated from the diseased leaves of kiwifruit plants. The genome size of AHK-1 was found to be 7,035,786 bp, with a G + C content of 60.88%. It is predicted to contain a total of 6327 genes, of which 3998 were homologous to genes in the other two sequenced P. fluorescens isolates (SBW25 and GcM5-1A) and 946 were unique to AHK-1 based on comparative genomic analysis. Furthermore, we identified several candidate virulence factors in the genome of AHK-1, including the fliA gene encoding flagellar biosynthetic protein for biosynthesis, and the genes for components of type VI, III, and IV secretion systems. This genomic resource will serve as a reference for better understanding the genetics of pathogenic and non-pathogenic strains, and will help to elucidate the pathogenic mechanisms of P. fluorescens associated with plant disease. Lixin Zhang and Zhiran Wu have contributed equally to this work. The online version of this article ( https://doi.org/10.1007/s00284-019-01655-2) contains supplementary material, which is available to authorized users. This work was supported by the Natural Science Foundation of Anhui Province (1608085MC56), the Key Project of Science and Technology in Anhui Province (18030701211), the National Natural Science Foundation of China (31872108), the Hefei Special Project of Science and Technology Development (ZR201711290010), the Anhui Province Program of Academic/Technology Research leader (2017H137), and the Postgraduate Innovation Fund of Anhui Agricultural University.